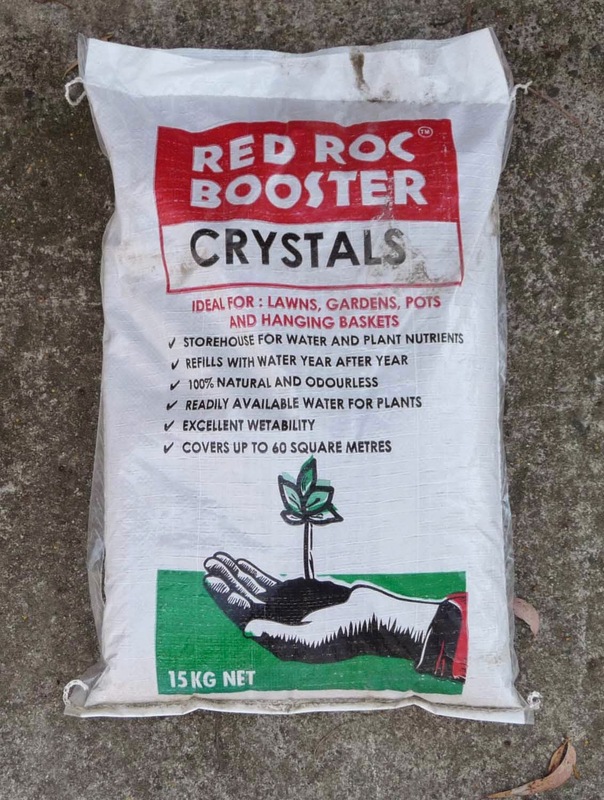 This is the Red Roc Booster Crystals product. Used in Bonsai and cactus mixes. Ideal for lawns, gardens, pots and hanging baskets. Storehouse for water and plant nutrients. Refills with water year after year. 100% natural and odourless. Readily available water for plants. Excellent wetability. One 15kg bag covers up to 60 square metres. Please note: Postage for the 15kg is $30 per bag.